The Many Hats Institute (MHI) is honored to be teaming up with the Summerhill Polo Club to present Polo For Children. This exciting season of polo will benefit various Many Hats children and youth initiatives. Summerhill Polo Club, which is owned and operated by world renouned trainer Mara Hagane and 6- goal player, Charlie Muldoon has a long and interesting relationship with the Many Hats Institute. 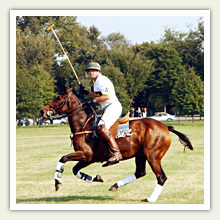 Many "Hatters", including MHI founder, Fabian Koss have been playing polo at the Club for over 20 years. The polo grounds and MHI have organized numerous fundraisers over the years that have benefited children all over the globe. Summerhill Polo attracts many high-goal and international players from countries such as Argentina, Canada, Chile, Colombia, England, and Mexico. Founded in 1999, the Many Hats Institute (MHI) is a non-profit, non-governmental, 501 (c) (3) organization dedicated to improving the conditions for children and youth worldwide. Together with AOL@School and Youth Service America MHI created the Reach Your Peak (RYP) program. RYP works to inspire youth ages 12-18 to dream, and gives them the resources they need to realize their personal potential and their community goals. RYP provides youth with the courage, training, and tools to achieve their goals through activities related to goal-setting, education, fundraising, and volunteer service. The curriculum clearly lays out a road map for youth to set their own goals and take action to achieve them. The Many Hats Institute's "Hatters" are a network of professionals from many backgrounds, who raise funds and provide assistance to promote positive youth development. Past MHI initiatives have included a Placido Domingo concert to raise funds for young victims of the El Salvador earthquakes. MHI organized a series of polo matches that benefited the Garaham Children's Hospital in Buenos Aires, and provided matching funds for the Saks Jandel/Carolina Herrera Fashion Show benefiting Rincones Dance Company's Nina's Kids Fund. MHI has teamed up with the World Wildlife Fund to raise funds for their work with young volunteers in the preservation of the Atlantic Forest. 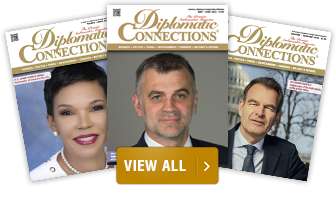 This years media partners include ABC Radio (Mix 107.3 and Smooth Jazz 105.9), Capitol File Magazine, Zoom Media (Poder Magazine), and COMCAST.